36 inch poly wings. One size fits most, children or adults. 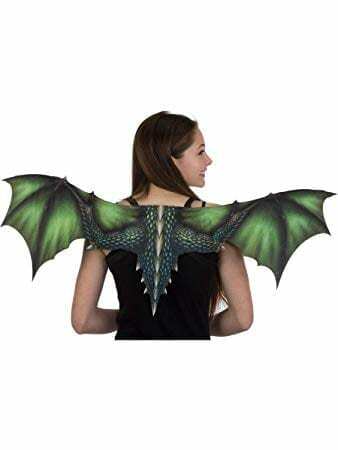 Wings are worn similar to a back pack. Green and black coloring.